Do you want to know how to link your Aadhaar card and PAN card? 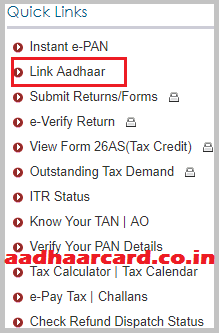 In this tutorial, you will know how to link Aadhar card with PAN card easily. It’s very simple and easy to link your Aadhar with PAN card. CBDT extends the deadline for linking Aadhaar card with PAN to 31st March 2019. 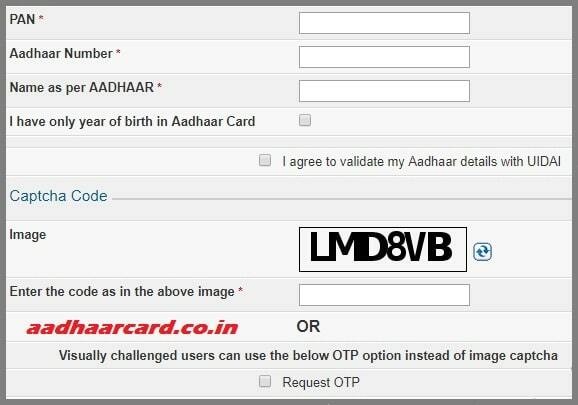 How to Correct/Update Aadhaar card Details. The Income Tax Department declared that taxpayers can link their PAN card with their Aadhaar card using an easy SMS-based process. 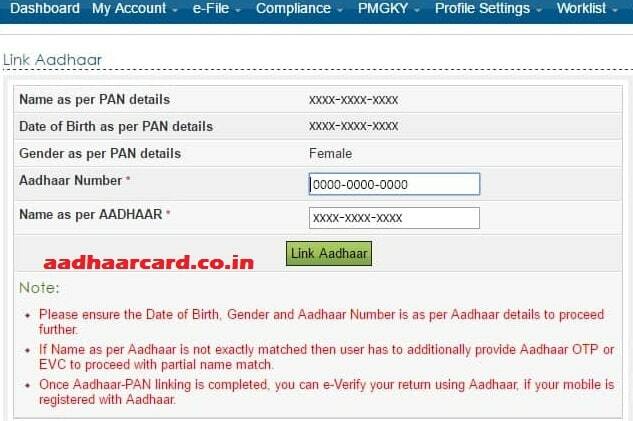 There is also another online method to link your Aadhaar with PAN. You can go to the official e-filing website of the Income Tax Department and link both these documents. 1. Visit the Income Tax e-Filing website to link your PAN and Aadhaar. 2. Click on Link Aadhaar under quick links. 3. Enter your PAN and Aadhaar number in the form. 4. Then you have to enter your name as mentioned in your Aadhaar card. 5. In case only your birth year is mentioned on your Aadhaar card, you have to tick the square. 7. Click on the “Link Aadhaar” button. 8. A pop-up message will appear that your Aadhaar will be successfully linked with your PAN. Visually challenged users can request for an OTP that will be sent to the registered mobile number instead of the captcha code. 2. Click on the Profile Settings, from the various tabs available at the top of the page. 3. Then Click on Link Aadhar from the drop-down list. 4. Now you will be able to see your personal details such as name, date of birth, etc. in the new page. 5. Then you have to enter Aadhaar number and Name as per Aadhaar. You need to verify the details on the screen with the details available on his Aadhaar Card. 6. A pop-up message displaying ‘Aadhaar-PAN linking has been completed successfully’ will come up on the screen. It is due to the mismatch of the data in both documents. It is worth mentioning that your PAN will be linked with Aadhaar only if all details in both documents match with each other. But if you are someone whose information on PAN does not match with the Aadhaar or vice verse. If your PAN card details are correct but your Aadhaar details are incorrect then you can go for this method. Here is what you can do for your Aadhaar correction. 1: Visit a nearby Aadhaar Enrolment Centre. 2: Fill the Aadhaar Enrolment/Correction Form. 3: Properly mention the details to be updated in the form. 4: Submit the form to the Aadhar executive. 5: The Aadhaar executive takes your biometrics to authenticate your identity. 6: You have to Provide the Proof of Identity (PoI) document for your verification. 7: You have to pay ₹ 30 (₹ 25 + 18% GST) to the Aadhaar executive. 8: When your application will be accepted. 9. Then you will be given the acknowledgement slip containing the Update Request Number (URN). 9: The URN can be used to track the status of the Aadhaar update. 10: Once updated, you can download e-Aadhaar from UIDAI’s website. Now you can link your PAN with Aadhaar without any difficulty. 1. Go to the NSDL website and click on ‘PAN’ option. 2. Select the ‘Apply Online’ tab. 3. In the sub menu, select “change/correction in PAN data” and click on ‘Apply’. 4. Now select the application type, fill in other details and proceed. 5. You will have to authenticate your application using the Aadhaar eKYC. 6. 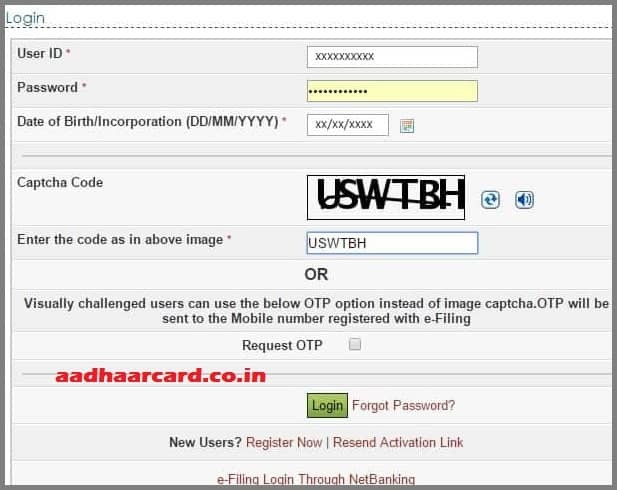 This method uses Aadhaar OTP based authentication method to auto-fill all your details. 7. Make a payment of ₹ 110 online through debit/credit card or net banking. 8. You will be given an acknowledgement number that can be used to track the status of the application. 9. An update PAN card will be sent to the address mentioned in the Aadhaar card. Once you get the updated PAN, you can link your PAN with Aadhaar easily. There is also an offline method to do the same. But the only difference, in this case, is that for offline application, you have to download the form, fill in manually and submit it to the TIN centre along with the required document proof. All PAN cards that are not linked with Aadhaar will be deactivated after March 2018. The government has made it mandatory to link all PAN with Aadhaar. Linking PAN with Aadhaar will help in tackling the problem of multiple PAN cards issued in the same name. You income tax return form would not be processed if your PAN is not linked with Aadhaar. The user will get a summarised detail of taxes levied on him for future reference. Q. Do NRIs residing in India have to link their PAN as well?? Q. Is it mandatory to create an account with the department website? Q. How can I change the mobile number that is registered with Aadhaar? Q. Can I de-link my Aadhaar number? Q. How do I make changes to an Aadhaar Number that I have filed? Q. Do I have to submit any documentary proof to link my PAN and Aadhaar card? No, you are not required to submit any documents when linking your Aadhaar to your PAN card.